Today Mads made an excellent post about our overall .NET Language Strategy. As I know this will raise a lot of questions in the VB community I wanted to take an entire post on the VB team blog to dive deeper into how VB fits into that strategy and why and what that means in practical terms for us as a community. Last year we decided to retire this blog and consolidate content on the .NET team blog instead. 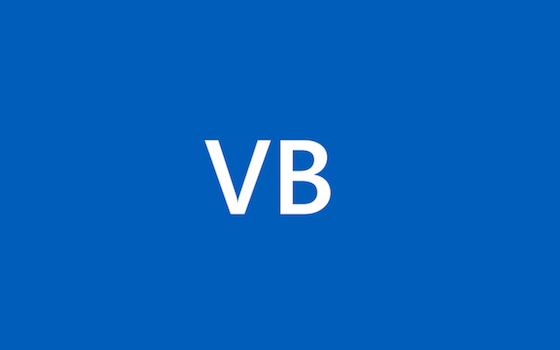 The thinking at the time was that we weren’t really posting a lot of content to it and that there was so much overlap in content between the VB team blog and the C# FAQ that it would be simpler to just focus on the .NET blog. TechEd: "The Future of Visual Basic and C#" Video Now Available Online! If you didn’t get a change to make it to TechEd this year, fret not, we got it all on video for your viewing pleasure. Join Principal Program Managers Dustin Campbell and Mads Torgersen as they give you the inside scoop on the future of VB and C#. Microsoft Virtual Academy is a free service available to anyone to sharpen their skills and learn the latest and greatest technologies. Yesterday we published a copy of a fun “Roslyn”-powered retro editor for Visual Basic called QuickVB in honor of the 50th birthday of BASIC. We thought this was a neat application to showcase our love of BASIC but since then we’ve realized that it’s also a great example of how to put the power of the .NET Compiler Platform (“Roslyn”) APIs to use.